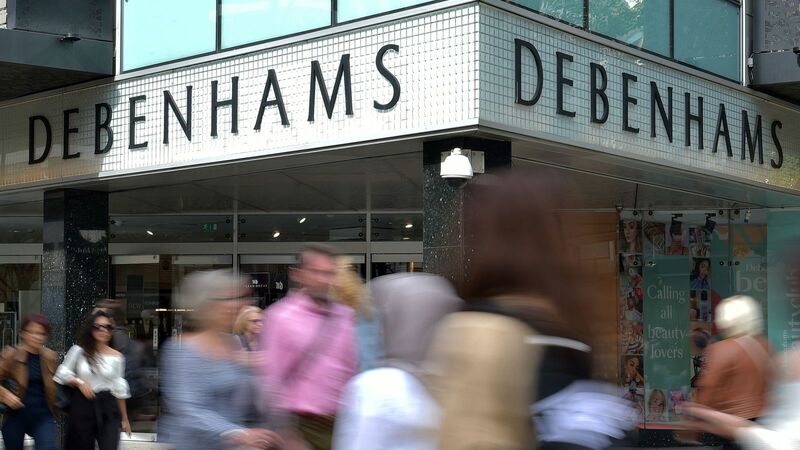 Shares in struggling department store Debenhams have plunged by more than 50% after it announced the next step in a refinancing plan which could see stock holders including Mike Ashley wiped out. It is now formally asking investors who hold debt in the company for changes needed to secure the funding, allowing it “to pursue restructuring options to secure the future of the business”. But it warned that “certain of these options – if they materialise – would result in no equity value for the company’s current shareholders”. That restructuring would be likely to include a so-called debt-for-equity swap – in which lenders would take control of the company’s shares in exchange for cutting its debt – or a pre-pack administration process. It is the latest development in a tug of war over the beleaguered department store between its lenders and Sports Direct, controlled by billionaire Mr Ashley, which already holds 30% of the business. Shares initially fell by more than 50% on Debenhams’ announcement on Friday. In response, Sports Direct said it had offered to buy Debenhams’ Danish business Magasin du Nord for £100m to help boost its finances. Later, the department stores shares partly recovered but were still trading 25% lower on the day.